nero profumo: Comme Des Garcons: (Not So) Wonderoud. 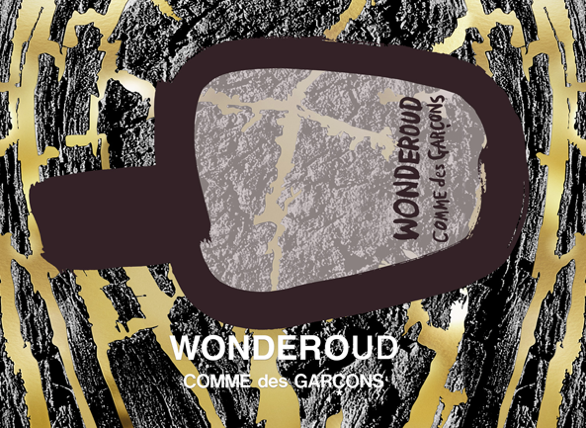 Comme Des Garcons: (Not So) Wonderoud. I'm pretty ambivalent about Wonderoud as my assessment goes in two different directions depending on how how approach it. As a Comme Des Garcons lover, I think this brings almost nothing new to the table of woody fragrances they delivered thus far but, at the same time, if I approach it as a whatever mainstream wood-centered composition, this is vastly head-and-shoulders above the average quality available from similarly targeted / priced offerings. This is basically an average quality niche type of fragrance, sold at department-store prices. In my perception, Wonderoud basically starts from the same bone-structure used in CDG's previous Wonderwood (and to a lesser extend Blue Santal). A combo of cedarwood, pepper, vetiver and sandalwood to which they now added a smooth but remarkable oud note. The final effect is of an intensely woody fragrance with greenish nuances. Dry but not harsh, mannered but not too affected, safe but not dull and pretty well rounded. At the same time though, I find it a bit nondescript and not particularly distinctive. The cedarwood is not as prominent as in others deliveries by the same house and, as usual with CDG, they're still able to skip that woody harshness (typical of certain woodyambers) that seems to overpopulate department-store type of masculines. It's a well done fragrance, pleasant to wear and pretty long lasting…yet, I can't say I'm completely sold. On a side note, it's pretty clear that the branch of Comme Des Garcons owned by Puig (basically all the fragrances that come in the oval-shaped flacon) are targeted to a more *generic* audience and , in this context, they still fear no rivals IMO. A bit of a disappointment though, came with the fact that Wonderoud is more expensive than your usual Puig-CDG. Is that because it includes the word *oud* in its name?